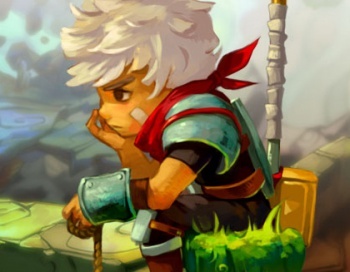 Bastion has done really well, but Supergiant Games is moving on to a new, unrevealed project instead of a sequel. Bastion was the surprise darling of this summer. Thankfully, gamers realized this and the game has now sold more than 500,000 times. Despite this success, the game's developer isn't working on a sequel. "Thankfully Bastion has performed well enough to give us the resources to create another game on our own terms, meaning we can self-fund the project and take the time we need to get it right." "We always intended for Bastion to be a stand-alone game though we did aim to create a rich world for it that could potentially support other stories. "I don't know if we'll ever go back to the world of that game, though if we do it will be at a time when the team wants to do that more than anything else. It can't just be a financially motivated decision because that's not how Bastion was created in the first place. I can't say I'm upset to hear this. Bastion was utterly enchanting, but the ending was definite enough that I'm fine with Supergiant Games leaving things alone until they feel that they really have another story to tell in that universe. In the meantime, I'm sure that whatever the developer's next project is will be something to be proud of.